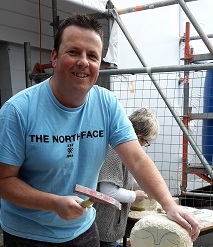 Discover the delights of Oamaru stone and complete at least one carving. 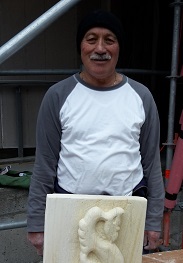 A one-day workshop where you'll discover how to carve limestone and finish at least one carving in fabulous Oamaru stone. Please bring your own dust mask, safety glasses, lunch and wear old clothing and closed-in shoes. A charge for tools ($5) and stone ($2 per kilo) is payable to the tutor (please bring cash). NOTE: This course is held outside so please dress according to the weather - lots of layers in winter and don't forget to bring sunscreen and sunhat in summer, and plenty of water!